The Michelin man at a truck show in the Wellington Winter Show building. 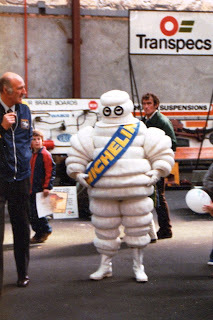 The gentleman on the left was the Michelin rep whom I believe's name was Bob Bell. "Big Jim" was an 8V71 powered International Transtar II operated by Cronin's. 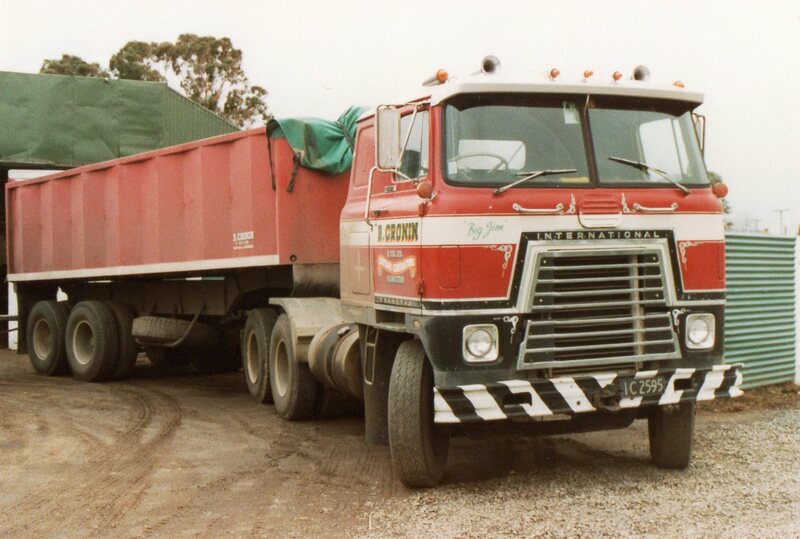 Later, the same truck was operated by Fearon Logging in Masterton. 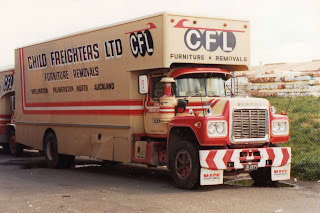 Personally I preferred the original livery and without that ugly bullbar. 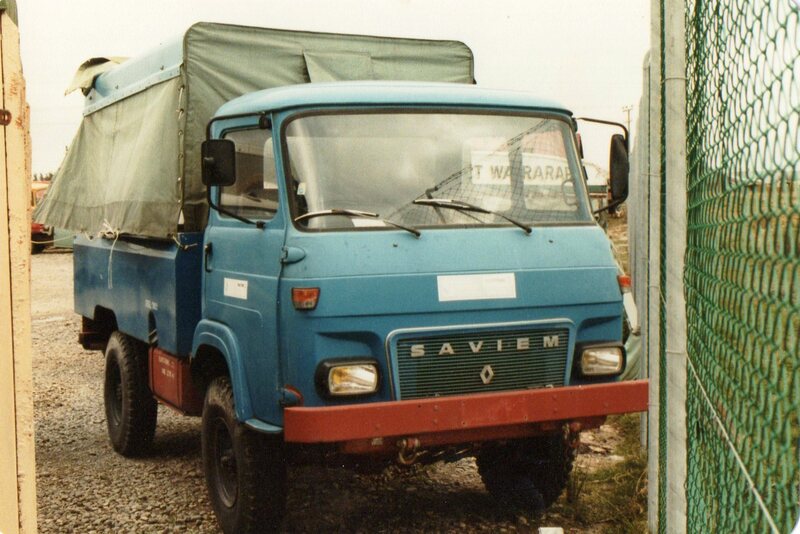 This Saviem must be fairly rare in NZ. Right hand drive though and I think it was 4WD as well. 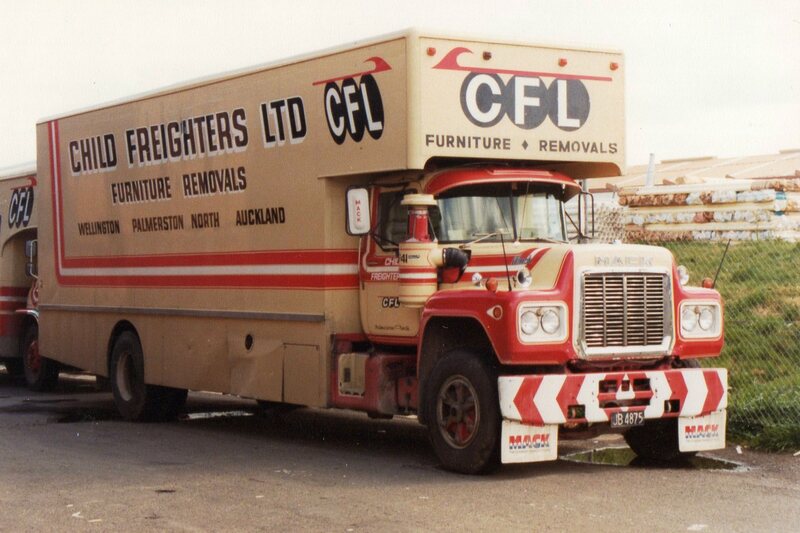 This R series Mack of Child Freighters (no they didn't carry children) was, I believe, originally a tractor unit that was lengthened for the purpose shown here. 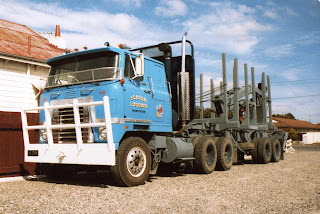 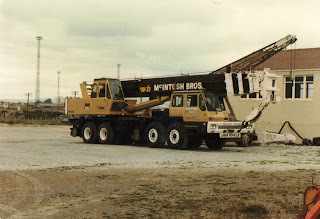 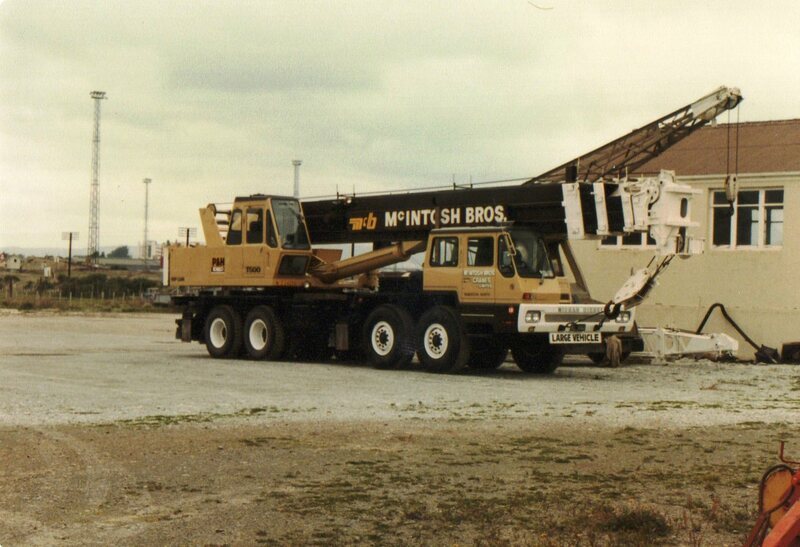 Nissan T500 crane from 1982 of McIntosh Brothers of Palmerston North.